Dr Molly Bodinetz is a HCPC registered Clinical Psychologist who provides psychological services to children and young people. Molly has completed DDP Level Two training and is currently on the practicum to become a qualified DDP Practitioner. She specialises in working with children and young people who have experienced complex trauma, including working with adopted families, children in the care system or at risk of care, as well as young people who present with risky behaviour. 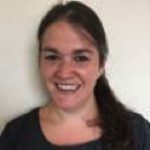 Since qualifying as a Clinical Psychologist in 2008 she has been working in various settings, with children and families with complex and challenging needs, both in the community and within inpatient settings in London and now in Devon. Dr Molly Bodinetz currently works for Psychology Associates as their Clinical Lead for Adoption and Fostering Support Services. She provides individual, group and family interventions as well as providing consultation, training and supervision to the complex professional systems surrounding these young people.